Kevin Weisman will be on AfterBuzz TV discussing Scorpion November 18th at 6pmPT/9pmET! 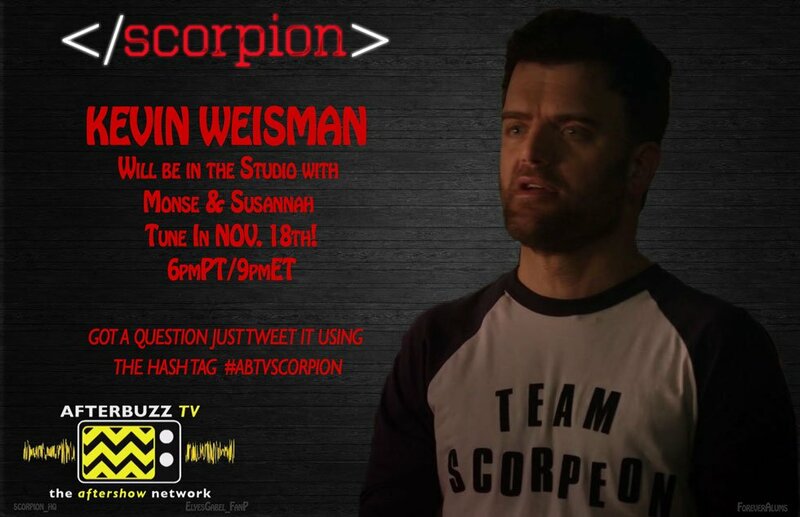 Home » Kevin Weisman will be on AfterBuzz TV discussing Scorpion November 18th at 6pmPT/9pmET! Kevin Weisman will be in the After Buzz studio with Monse Bolanos & Susannah Kim on Wednesday November 18th at 6pmPT/9pmET! Have a question? Tweet it using the hashtag #ABTVSCORPION.